New York Times last night, reliably circulated on social media and picked up on blog after blog about the news of the Apple investment in the Twitter a Big stack, this move was made by apple was said as to get into the effect just to become a more Social in the network. The report said that the Apple which is very curious to get into the social networking market now a has been in the keen interest in the month ago was talked with twitter in making a strategic investment into it. As per the market status apple is a huge company with successful record in selling various phones and tablets, but somewhat lacks in the Social networking, which is become the major engine of activity on the web and on the mobile devices. Social Networking is becoming the integral part among the various tech savvy’s communities and average user. The company best know for it’s service and innovative technology, motives only to provide something better and best to the user is now targeting this untouched area so as to hold the position for the next 5 years. Though at the present scenario of the companies negotiations it’s not clear whether this deal will going to happen or not. Apple do not have many social friends in the social medias, basically it’s relation with Facebook, whereas many rivalry have been in the good position in compare to the apple as the Google has been pushing it’s own social Network “Google Plus”. Timothy D. Cook, Apple chief Executive self added this at a recent technology conference that ‘Apple doesn’t have to own a social network but yet Apple needs to be social’. Apple and Twitter have been working together recently and apple has tightly sewn the twitter features into it’s software for phones, tab, computer, while on the other hand twitter has tried to put more resources into managing it’s relationship with apple. As the Chief executive for Cook it’s going to be a most strategic decisions to put an investment of $117 billion in liquid and agreed to buy a mobile security company for $365 million, on Friday. But this all are the One Face of the coin as the In fact, an Apple investment in Twitter is painted as something Twitter can take or leave, but a partnership Apple desperately needs. 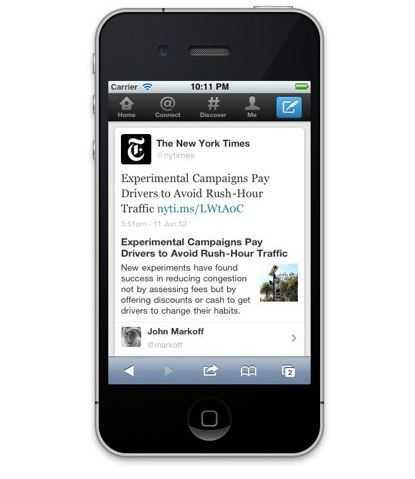 As Apple has found, social is just not in its DNA,” says the NYT. Between the NYT and the WSJ, we read that Twitter doesn’t need Apple’s cash (it has “truckloads of money in the bank”), that it’s beating its own revenue projections, and that social media content is what will drive hardware sales in the future. It’s enough to make you want to go out and buy as much stock in Twitter or any social media company on the secondary markets as you can find! And here what’s the gig, whoever leaked this story doesn’t want to open the perceiving Value of the social networking companies and hence protecting it. This is all about investors trying to prop up the value of multiple tech companies. If you don’t believe it then have a A Brief History of Apple Not Buying Things . As there has been always a chains of Rumors with Apple, it’s look like this will also end up like other have been ended.